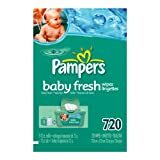 Baby Fresh Baby Wipes clean gently like a baby’s washcloth. Thousands of soft cleansing buds, plus pure water and pleasant baby powder scent help leave your baby’s skin feeling perfectly clean. Should stay-at-home mom expect help with her bills from fiance? Or is that asking too much?